There are hundreds of thousands of kitchen gadgets on the market today. There are stores devoted to just kitchen gadgets. Most homes have junk drawers especially for choppers, egg slicers, apple corers, and more. 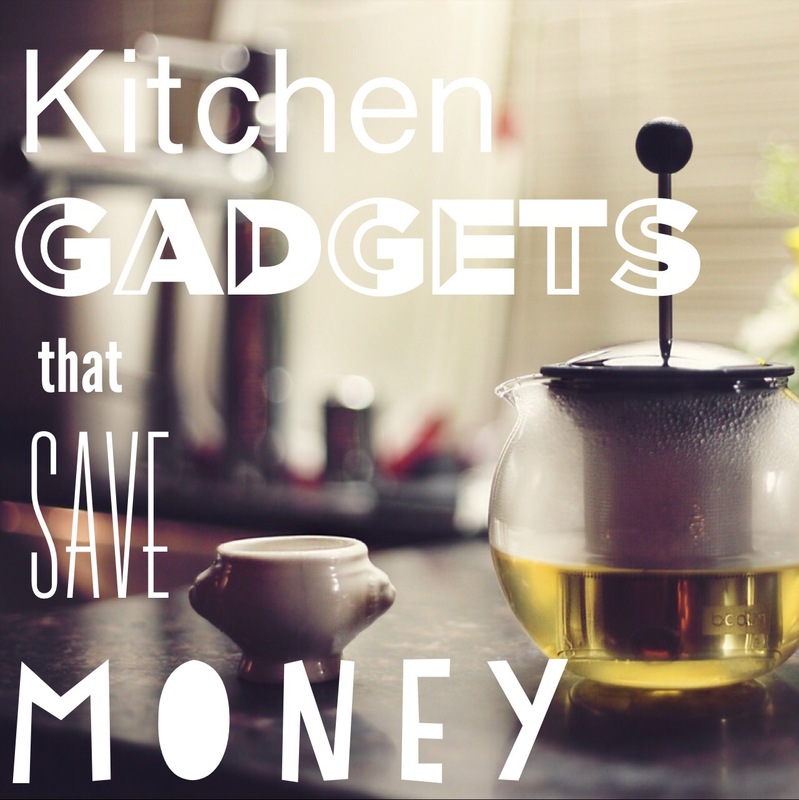 It’s easy to just spend more money to have more things, but there are some kitchen gadgets that save money. And anything that saves me money is worth at least a second look. Bread machine – not only does it smell fantastic to have the aroma of fresh bread wafting through the house, but bread machines can help save money by having fresh bread ready when you want it. I like to use it to make pizza dough. Crock Pot – these guys save on utilities. They don’t heat up the whole house in order to cook a roast, and they can be a one dish dinner for easy clean up. Use one to make soups, pot roast, stews or even pasta. Pressure Cooker – my pressure cooker has been a God send. Especially when we moved and were without a stove for awhile. I use mine to make perfect spaghetti and rice, but you can cook just about anything in it. It cuts down on preparation time and so long as you follow the directions, everything comes smoothly out of the pain. I’ve never burned a thing! Food Processor – use it to make salsa, prepare soups, blend ingredients or even smoothies. It quickly gets food to the right consistency. What are your favorite kitchen gadgets? How do they help you save money? Lower The Water Bill Now! I love mini food processor .It works so efficiently and occupies very little space in the kitchen. Plus, it’s cost effective. I’ve been thinking of getting a pressure cooker for such a long time. I thrift shop and when I get there my mind sort of goes blank. I’m going to have to make a list so I can shop with focus. That’s how I am every time I go into a thrift shop. I just get a little over excited about finding treasures that I forget what treasures I’m looking for. But yes, I love love love my pressure cooker. The sad thing is, I let it sit for about a year before I ever used it. Then we needed a stove… I had to learn how to use it to cook. But a negative was turned into a positive for sure! I know the feeling. I often get preoccupied with all the thrifting that I forget what I need tone looking for and jump at any deal. I mean, it’s a deal, right? Mostly in the fall and winter. The smell of warm bread warms the house up. In the heat of summer, I’m not as diligent. Sadly. Insurance: Which Policies Can You Cancel If You’re Short On Cash? Disclosure of Material Connection: Some of the links in this post are “affiliate links.” This means if you click on the link and purchase the item, I will receive an affiliate commission at no cost to you. Regardless, I only recommend products or services I use personally and believe will add value to my readers. I am disclosing this in accordance with the Federal Trade Commission’s 16 CFR, Part 255: “Guides Concerning the Use of Endorsements and Testimonials.” Because I'm Cheap is a participant in the Amazon Services LLC Associates Program, an affiliate advertising program designed to provide a means for sites to earn advertising fees by advertising and linking to Amazon.com.